All documents, including Long Baptism Certificate, must be written within the 6 month period prior to the wedding date. Baptism Certificate from the Church you were baptised in. Confirmation Certificate from the Church you were Confirmed in. You will need to make an appointment with your priest to fill out this form. This form may also be used as your Letter of Freedom from your home parish. 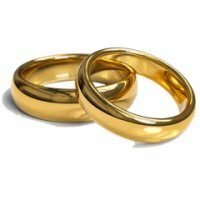 As you have chosen to be married in the Catholic Church you are required to prepare for the Sacrament of Marriage. It is the recommendation of the Church that you attend a Pre-Marriage Course. You can get more information on courses from ACCORD at: www.accord.ie/services/marriage-preparation. You can attend one of these courses at any time before the Wedding date. Marriage Preparation in the Catholic Church is mandatory! Ask your priest to help you with the ceremony, choosing readings, vows, etc.